On the surface, it is a simple question, but with so much uncertainty right now with the direction of the stock market, the economy and the political atmosphere here in the United States there is much concern in the minds of investors. Let’s address each of these topics one by one. We continue to be in this grind it out style economy as we have been in ever since 2009. Day-by-day the US economy gets slightly better. Sure there are individual data points that we can look at and say things are not good. One often cited data point is manufacturing. US manufacturing has been trending lower, but frankly, it is less a reflection of our economy, and more a result of a strong dollar vs. other major world currencies. When the US dollar is strong, it makes the goods we produce more expensive to the rest of the world. Here is what the US Dollar looks like vs. other major currencies (One of these is not like the others). 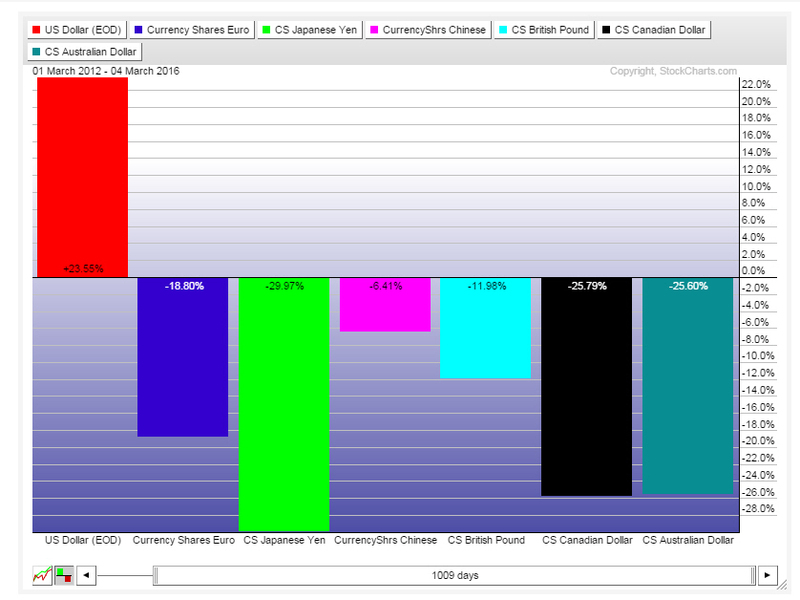 Clearly you can see since March of 2012, just how much the US Dollar has appreciated vs. other major world currencies. While a strong dollar is good for the US consumer buying goods produced overseas, it creates a headwind for manufacturers here trying to sell their products in other countries. To further explain the state of the US economy, I want to share with you an economic dashboard Russell Investments put together back in the 2008-2009 period to help advisors monitor the economy. Here is where the economy stands today based on the latest economic data. You see, things right now are relatively typical. Sure, some areas of the economy are doing better than others, but as a whole, the US economy continues to be doing okay. For many of you, just reading this headline will get your blood pressure up. Presidential elections are a very emotionally charged time and this year seems to be especially heated and confusing. 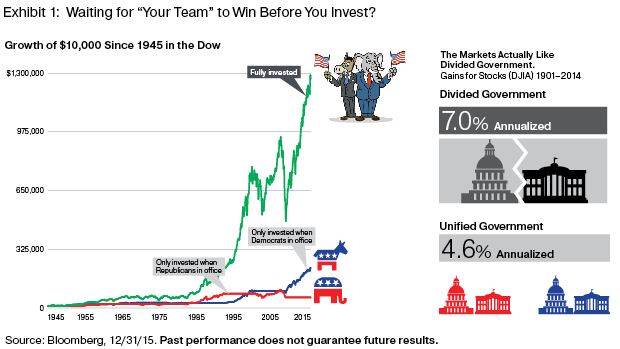 My goal is not to tell you one candidate is better than another (although I do have my opinion), but to help you understand the odds of the election as it sits today, and also to relate it back to the markets. First let’s look at one of my favorite ways to determine who will likely win the election. I look at exchanges where people are actually “voting” with their money. These exchanges allow individuals to place a financial bet on who will win an election and historically have a higher degree of accuracy over polling data. 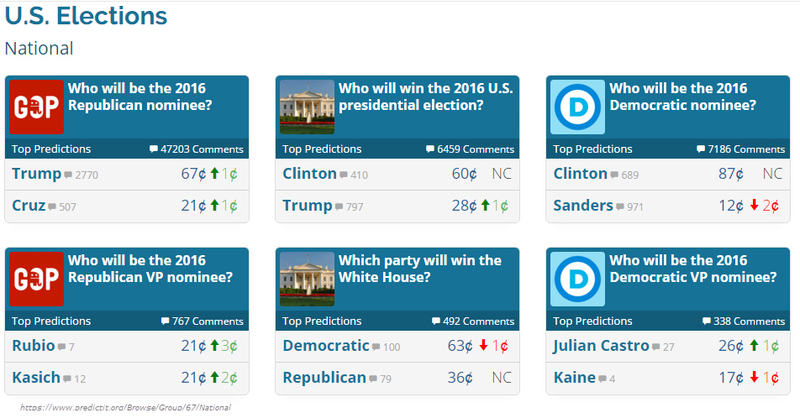 I am using predictit.org, but just note, this is not an endorsement of their website, they simply had the best graphics to illustrate the odds of the major races. All joking aside, you need to keep your political views separate from your investment mindset. You see, it has been said that Republicans make money when Republicans are in office, and Democrats do well when Democrats are in power. The reality is Americans are a dynamic and industrious group of people. We go to work each day to improve our personal financial situation regardless of who is living in the Whitehouse. Don’t believe me? Take a look at this chart from Bloomberg. Don’t wait for “Your Team” to win before you invest! Just remember elections are important but don’t let your emotions get in the way of growing your investment assets just because your candidate is not in the Whitehouse. 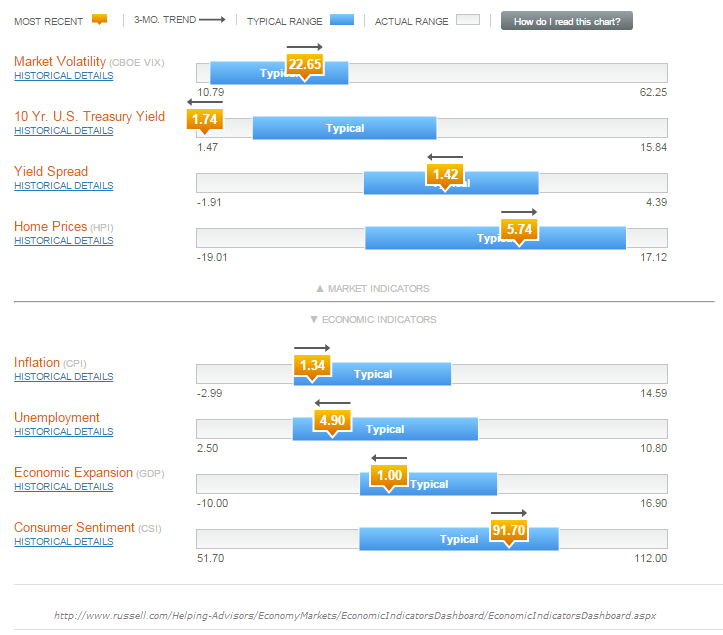 Last but not least, we will discuss what I expect from the US equity markets over the coming months. This is truly a “gut feel” or “opinion” article based on the reading and market research I have done. We are not heading into Regardless of what the news headlines have been saying for the last few months, I do not see a recession occurring within the next 12-18 months. I would put the odds of recession at less than 5% during this period. Regardless of the election outcome, our investment strategy is adaptive to current market conditions, and we will make the necessary moves to adjust to a Democrat, Republican or Independent living at 1600 Pennsylvania Avenue. The market has been rallying, but my gut says it is not sustainable for the rest of the I feel that we will most likely have more volatility during the summer months as the election rhetoric continues to heat up and we learn who the Presidential candidates will be. We are seeing opportunities develop in the high yield bond market as well as in manage futures due to their ability to invest during volatile market conditions. This could be a long-term investment trend that continues for a while. You cannot catch a fish without a line in the water. This is a favorite saying of my fishing buddies, and it applies to our investments. Even though I am not overly bullish or bearish towards the stock market right now, it is not the time to pull all of our lines out of the water and head for home. Rather, we are going to keep a few lines behind the boat, and if we start seeing fish, we will put more lines in the water. Until then, we are patiently waiting and looking for opportunities. Hopefully all of you will have a great week, and we are looking forward to finding favorable market opportunities in the months ahead.